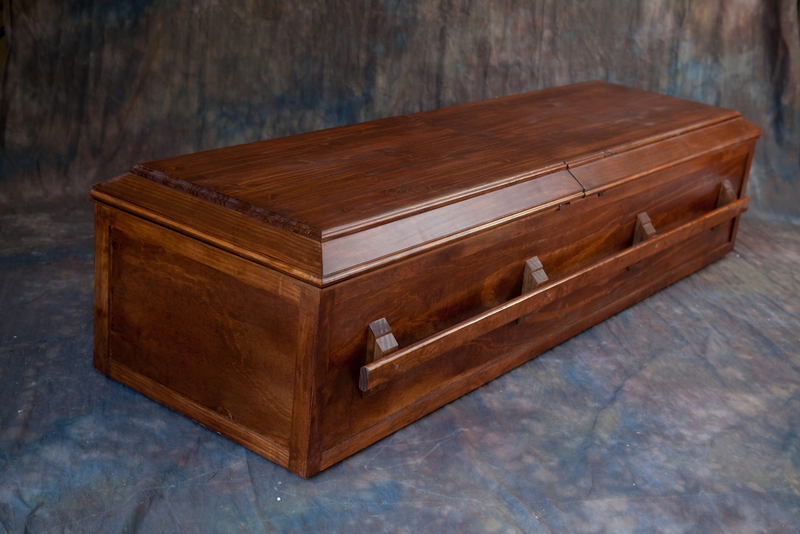 Building artisan caskets for those interested in pre-planning. Customized to individuals life interests and hobbies. 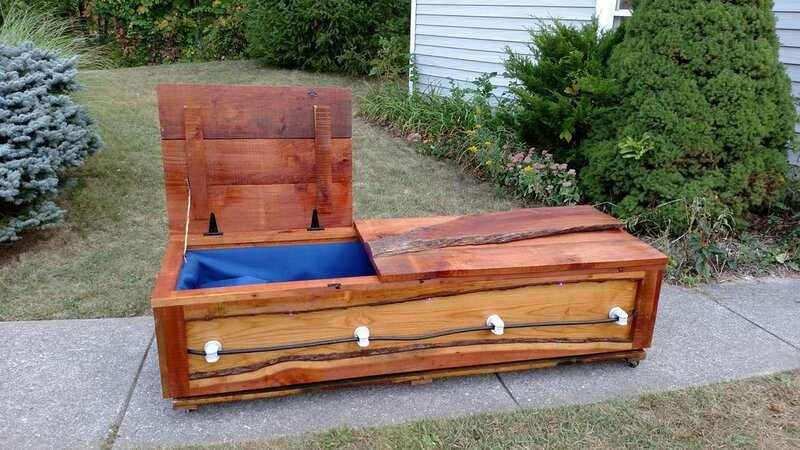 This casket was crafted for a long time friend and client who had been an electrician for most of his life. The client prior to his death, requested us to use the wood for his casket from a cherry tree that oddly, had been struck by lightening on his property. The casket featured a split top with electrical insulator accents along the sides. The interior was lined with royal blue fabric and the sides of the casket were in-laid with blue, led lights that could be turned on by a light switch on the back side of the casket. 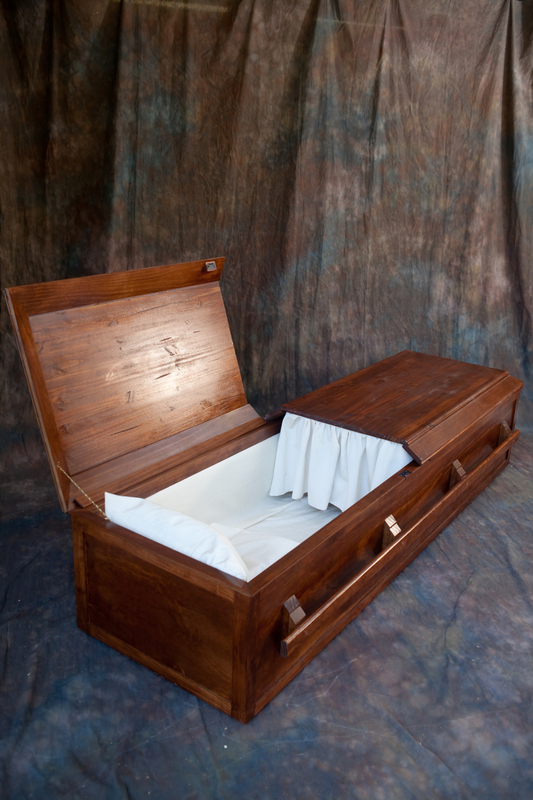 This casket was built at the clients request as part of he and his wife’s pre-funeral arrangement plans, several years prior to their passing. The clients being family members as well, we desired to feature personal aspects of their lives to showcase their legacies. As a WWII veteran and airplane mechanic, the casket featured a wooden propeller on one end and black crescent wrench cross on the opposite end. The client’s career encompassed running a family operated saw mill for many years. To reflect his love and passion for the work he did, the interior of the casket was lined in lumberjack plaid fabric and the split log top was selected and milled from his saw mill. One of the clients passions included steam engine tractors and to reflect that interest, the casket featured black rivets and black piping handles along the sides of the casket. This casket was crafted in short turn around for a very special young man that passed away unexpectedly. He loved the outdoors and had a great appreciation for nature. 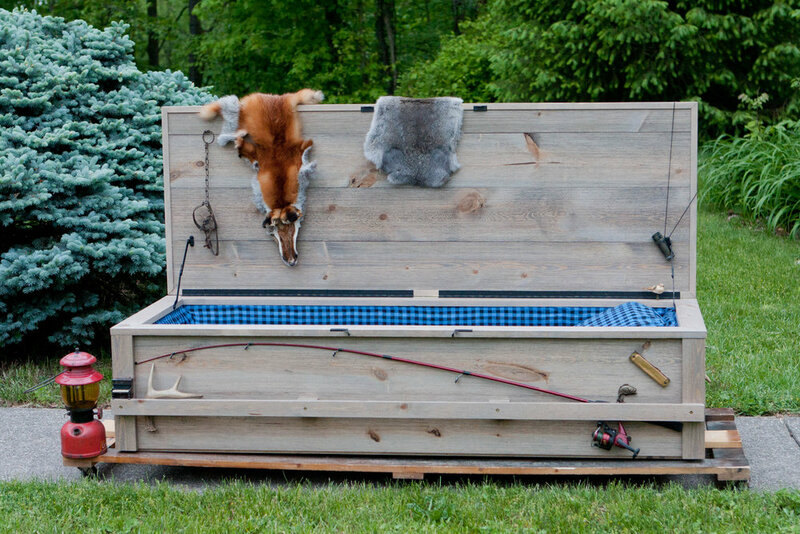 The single top, rough-hewn, wooden casket featured items to reflect his interests of hunting, fishing and camping and was lined with blue plaid fabric. 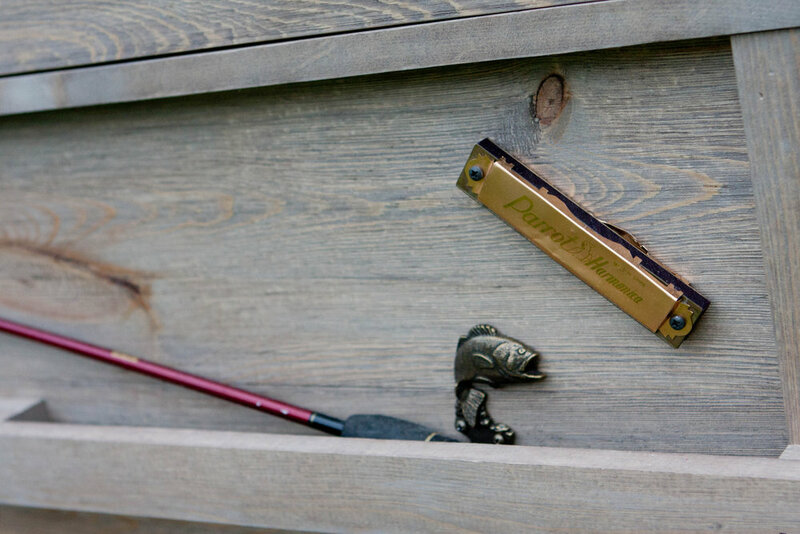 He loved singing and playing the piano, on one end of the casket, a tiny metal piano and harmonica were placed. He was deeply involved with his church and many of the congregation, young friends and his extended family played a large part in creating and selecting the items for the casket.